Very nice... a bit heavy. Antiqued silver plate. 21x18x6mm. 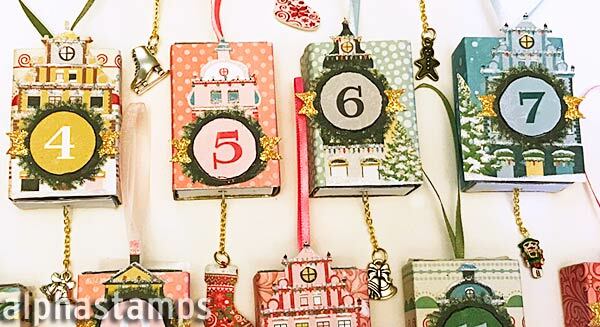 Design Team Member Laura Carson made Advent Calendar Matchbox Ornaments (see the wide photo below). More info in the blog and/or see the supply list.